Please find below our current course dates. We conduct courses 52 weeks a year. Some courses, such as Marine Radio and Coastal Navigation, can be commenced immediately as they are conducted primarily online. 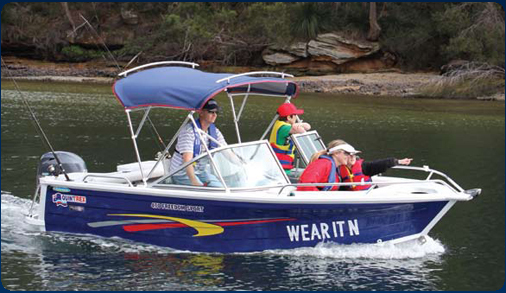 Other courses run weekly, such as Recreational Boat and PWC Licences, while others, such as Commercial Coxswain and General Purpose Hand (Deckhand), run monthly. Course numbers are limited to the carrying capacity of the vessel. Because there is a requirement to undertake practical training and instruction and actually go out on a vessel courses do fill up well in advance. Therefore if you wish to enrol for a specific date then we advise that you enrol early to avoid disappointment. Because we conduct courses continuously we do allow transfer from one course date to another in the event of family, work or other personal committments. All Hands on Deck is a Registered Training Organisation (RTO) with the Australian Quality Skills Authority (AQSA) and an Accredited Provider of Maritime Training with NSW Maritime. We have been conducting maritime training since 1997 and train over 1500 candidates each year in a wide variety of maritime course.